A friend and I are considering co-writing a novel. What should we do and/or know before we proceed? 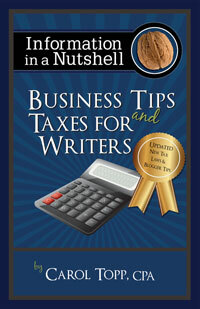 I recommend that both authors remain as separate businesses and not form a business partnership to co-author a book. Each author should have a contract with the publisher that defines responsibilities and compensation. The co-authors work together like employees or co-workers, but they do not have a business partnership structure. Always have a written agreement with your co-author that outlines royalty sharing, time lines, ownership rights, and other financial arrangements. One author said it best, “Don’t rely on friendship to carry you through lawsuits.” (Source: Michael Lee on http://www.speakernetnews.com/post/coauthor.html). Here are some blog posts on the relationship when co-authoring.